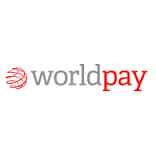 We are happy to accept credit card payments, which can be made securely over the phone protected by the WorldPay “Safer Payment Programme”. We’ll take basic card details from you and give you an instant decision, and if payment is successfully processed your order will be confirmed there and then. A 2% processing fee is charged on all credit card payments and this will always be made clear before any transaction is processed.